The UBC Sailbot Ada — an autonomous sailboat designed and built by UBC students — was launched off the coast of Newfoundland with the goal of crossing the Atlantic, a feat which has been attempted by many researchers, but never accomplished. Ada made it about 800 km before being damaged in a storm on August 30th, 2016, when she lost power and was temporarily lost. However, in a recent update, the UBC Sailbot team announced that Ada had regained life when direct sunlight hit the boat’s solar panels on Tuesday. 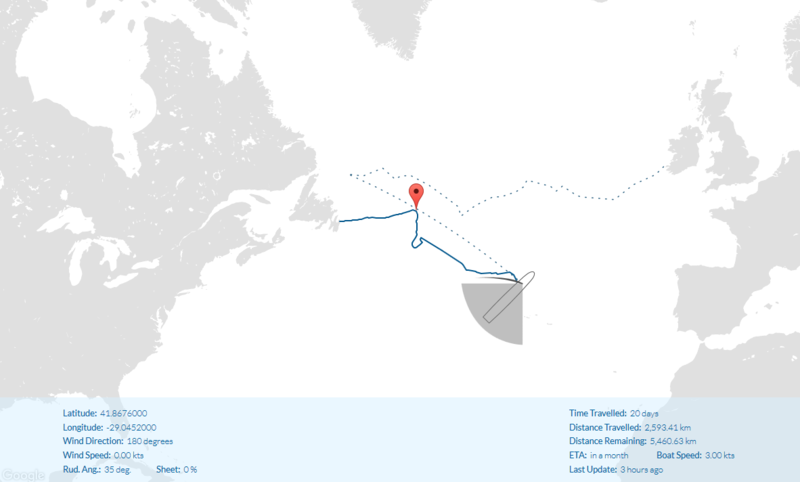 Through the use of a satellite network, the team was then able to locate Ada near the Azores islands, an autonomous region of Portugal located in the mid-Atlantic, and about 500 km east of her last known location prior to the power failure. The team is now hopeful that they will be able to retrieve the sailbot, however it is not yet clear how this will be achieved. On their Facebook page, the team has reached out for help, but are attempting to get a visual update on her condition before trying to orchestrate a retrieval. Read the full story at CBC News Newfoundland and Labrador.